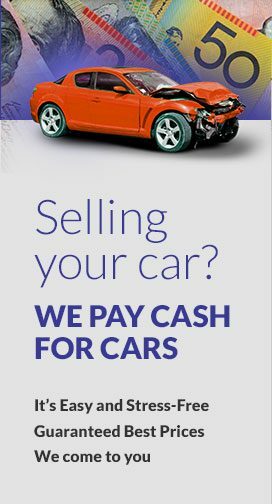 Most car owners are aware of the procedure when selling a car privately but how about selling it to a car wrecker or used car dealer such as Origin cash for cars. With some research on how to “Sell your car for cash” can make the process easier and hassle free for you. It is essential to have information as it will allow you to save time and sell the car with full confident. Such website might provide the exact value of your car but provide a close figure to give an idea how much your car is worth. Another helpful tip would be to check the car yourself, See if there are any cosmetic damage or mechanical issues that may lower the price. Selling your car to car wrecker and used car dealers saves time and avoids the hassle of getting strangers visit your house making low offers. Don’t leave this step to the last you find yourself searching through papers to find the correct paperwork. It is necessary to get all the paperwork ready it’ll saves you time and avoids the hassle. A good approach to overcome this issue at the end is to gather all the paperwork associated with car in a folder and present it to the car buyer. In New South Wales it is essential to have the registration paper ready when selling your car. Bill of Sale: The bill of sale is provided by the car buying company it is a basic sales receipt that outlines and terms and condition. Maintenance receipts: This document is important as it may increase the chance of getting a high valuation. Wash the tires and rim perhaps use Tire shine spray. Once the car is ready for viewing and making sure there are no dirt or visible marks then it is time to take some photos. Make sure you take photos from interior and exterior from every angle to give potential buyers full detail about the car. It also gives an idea that the seller is not hiding scratches or dirt. Finding the right used car dealer to sell your car is fairly easy for example contact us Origin cash for cars to sell your car is easy just submit online form and we’ll get back to you with a free quote, Our offer can reach up to $8999. by contacting a professional car buyer your avoiding the hassle of putting an ad online or having unwanted strangers visit your house. Professional car buying companies have team of experts that will purchase your car for top cash without any hassle.